This is a VACATION RENTAL Only.Owner will not consider an annual rental. 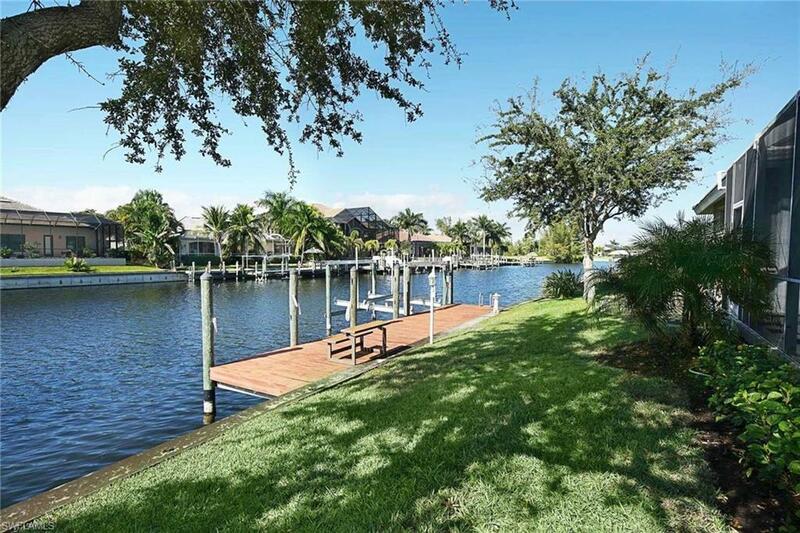 Weekly rentals permitted.Villa Waterside is a 3-bedroom, 2 bath home located on a gulf access canal. The den has been set up as a fourth bedroom complete with a queen size bed.This home is a large & airy home that features a family room with volume ceilings overlooking the lanai. The kitchen opens to family room to allow conversation to flow easily throughout the main living area, and features a large breakfast bar. 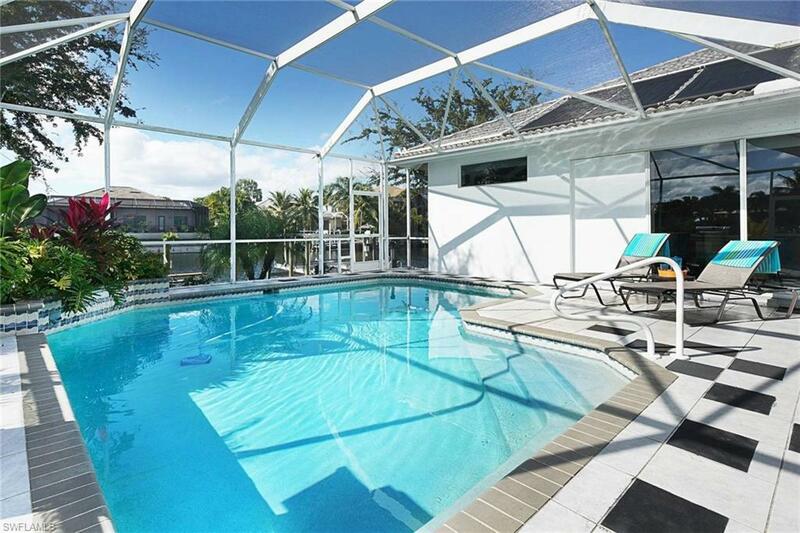 The family room opens to the heated pool & lanai where you can relax in Florida sunshine.There is also a formal living room that opens to the lanai. This home will definitely bring the outdoors in with all of the natural light that enters the home through the both sets of sliding doors.The master suite offers a King-size bed, a flat-screen TV, & a large bathroom with a beautiful tub, cabinets with two individual sinks, & a walk-in shower. Walk directly from the master bedroom through the wide glass slider doors into the lanai and enjoy a dip in the heated pool. What a delight! The two guest bedrooms and den are on the other side of the home. 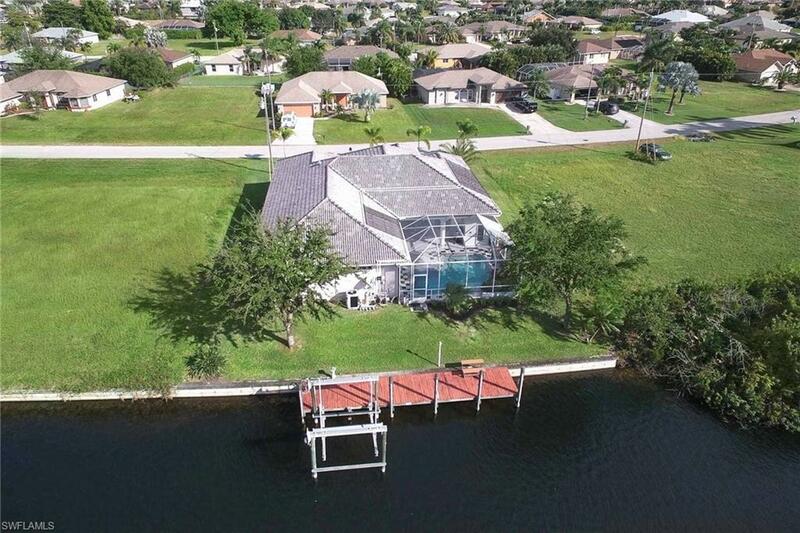 Listing courtesy of Christina Kalkmann of Swfl Real Estate Services.